Spring event season is here. 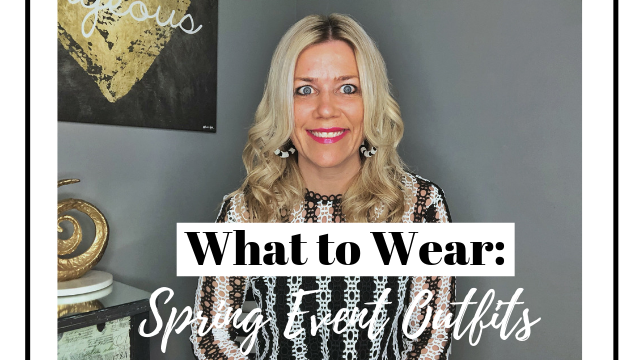 Whether heading to a gala or ball, spring horse races such as Kentucky Derby and Pimlico, or to a wedding, shower or other fashionably spring event, look your best and stand out from the crowd in these spring fashion trends for women and men. Statement sleeves, puff or gathered shoulders add dramatic flair to any spring event outfit. Give your outfit an extra edge with these dress and top details. Be bold this spring season in pastel prints. From audacious sequins to statement fabrics and design details, pastels stand out at spring events. Flirty layered and ruffles skirts and dresses or daring blouses and tops, pastels are a must-wear to any spring event. Give that alluring look in spring's dresses, skirts, and blouses with ruffles. The flowy movement adds allure while embroidery shows a peep of skin perfect to elevate and make a statement at your spring events. Add a playful edge with floral accents. Lapel pins to floral ties and pocket squares add a spring vibe to your look. Make a statement in spring's light-colored suits. From light gray to baby blue or pale pink and green, these hues truly stand out when styled for spring events. Pair striped shirts, bright color button-downs and spring's colorful accessories and shoes to cinch your style. Be daring in navy, bolder blue or gray tuxedos. Add panache in the details such as this crystal border tuxedo jacket or a sequin front button-down shirt. Update your spring accessories and spring shoes to transition your look for the season in style. See new ways to update your wardrobe and personal style for spring. CONTACT US to get styled for your spring events.